Kingsport Area Transit Service will offer free rides on the bus routes all day long Friday, March 15 if you are wearing something green or are carrying a green KATS bag. Celebrate Saint Patrick’s Day a few days early with a free ride on a city bus! Make sure you take advantage of this deal, and tell your friends and family members. If you have never ridden public transportation, this is the perfect opportunity to try KATS at no cost to you. You can learn more about KATS at www.kingsporttransit.org. The bridges over the South Fork Holston River on Fort Henry Drive will temporarily close on Wednesday, March 13 for an inspection by the Tennessee Department of Transportation. The concrete arch bridge, which is the older bridge on the left as drivers come from Colonial Heights, will close at 9 a.m. During this time, two-lane traffic will pass over the steel bridge. Inspection on the concrete bring will take approximately three hours. Once completed, the concrete bridge will reopen to traffic. TDOT will inspect the steel bridge next, and it will be limited to one lane of traffic. The city advises all residents to drive with added caution along Fort Henry Drive during this time. Find alternate routes if possible to prevent and avoid heavy traffic. Once TDOT completes inspection on the Fort Henry Drive bridges, they will inspect the bridges on John B. Dennis Highway near Eastman and on Wilcox Drive near the wastewater treatment plant. There will be no road closures for these inspections. To learn more about TDOT, please visit https://www.tn.gov/tdot.html. The City of Kingsport will begin storm water improvements on Windridge Drive on Monday, March 11. Crews expect to complete the improvements by Friday, March 15. McFall Excavating will be the contractor performing this work for the city. The construction zones will be marked by signs, and flaggers will direct traffic while the work continues. Drivers are asked to use caution in the area during this time. If you have any questions, please contact Hank Clabaugh with the City of Kingsport Engineering Division at 423-229-9324 or hankclabaugh@kingsporttn.gov. Thank you for your cooperation during this storm water system improvement process. City crews will be making waterline repairs along Red Oak Plantation Drive on Tuesday, March 5 between 8 a.m. and noon. During this time, customers in the following area will experience a temporary disruption in their water service: between 628 and 644 Red Oak Plantation Drive. Venture to new celestial horizons and explore the Universe’s darkest mysteries at Bays Mountain Park & Planetarium. A full slate of planetarium and astronomy programs will keep any space-lover busy this spring. “Exploring New Horizons” returns as the planetarium’s alternate feature this March. This in-house production takes an exciting look at the New Horizons spacecraft’s flyby of Pluto. The planetarium operator will follow the show with an update on New Horizons’ recent flyby of Ultima Thule, the farthest Solar System object to be explored. Perfect for the whole family, this show focuses on planetary exploration and discovery and how it affects our understanding of the Solar System. The show is followed by a live tour of the current night sky. Beginning on March 2, “Exploring New Horizons” will play Saturdays and Sundays at 2 p.m. “The Dark Matter Mystery” plays Tuesday through Friday at 4 p.m. and weekends at 1 p.m. and 4 p.m. Catch these fascinating show before their run ends on April 28. Both shows last approximately 35 minutes. For those that prefer a more hands-on experience, Bays Mountain Park’s free outdoor observing sessions return this spring. “SunWatch” and “StarWatch” are great opportunities to learn about stars both near to and far from our planet. Witness the Sun in close detail at “SunWatch” every clear Saturday and Sunday from 3 to 3:30 p.m. at the dam. A member of the planetarium staff or the Bays Mountain Astronomy club will help guests look safely through a telescope at the Sun. Keep an eye out for dark patches—those may be Sunspots larger than the Earth! On Saturday evenings in March and April, the Bays Mountain Astronomy Club hosts “StarWatch.” This free program gives guests the chance to observe the night sky in all its splendor from the top of the mountain. If the weather doesn’t cooperate, an alternate activity will be held in the planetarium theater. “StarWatch” dates for this spring are March 2 & 9 at 7 p.m.; March 16, 23 & 30 at 8 p.m.; and every Saturday in April at 8:30 p.m.
All observing sessions are free, though Park entrance fees apply. Planetarium tickets are $5 per person. Children ages five and younger receive free admission with a paying adult, and Park Association members also receive free admission. For more information on Bays Mountain’s planetarium shows or group ticket costs, please visit baysmountain.com or call (423) 229-9447. Mountain biking is a great way to exercise while connecting with nature—but hurtling down a mountain on a bike might seem intimidating if someone has never done it before. This March, Bays Mountain Park is offering the Beginning Mountain Biking Series to teach participants the tips and tricks every beginner needs to know. This three-session series will give each participant the opportunity to learn from experienced riders, ask questions, and develop their skills. The first two sessions will start in the Discovery Theater before moving outside to learn a skill. On March 17, learn about the equipment needed for mountain biking, bike language and trail types and etiquette. The March 24 session covers additional equipment and equipment maintenance, what to wear and what to pack. The last session on March 31 teaches about where to ride and how to build a trail. Participants will end with a six-mile group ride along Chestnut, Big Oak and Chinquapin Trails, with experienced riders sharing trail and maneuver tricks to keep everyone moving safely. Beginning Mountain biking is provided in part by Reedy Creek Bicycles LLC and Achieving Balance Mountain Bike Skills Instruction. By the end of this series, participants will be able to navigate Bays Mountain Park’s 32 miles of biking trails with ease and confidence. All sessions run 3 to 5 p.m. and are free to Park members (must show membership card at the gift shop) and $3 per session for non-members. Preregistration for the Beginning Mountain Biking Series is available at Eventbrite.com. There are 56 spots per session, and 28 are open for preregistration. Everyone must check in at the Nature Center gift shop for each session, regardless of preregistration. For more information on Bays Mountain Park & Planetarium, please visit baysmountain.com or call (423)229-9447. 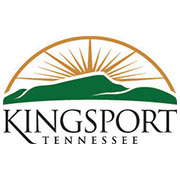 The Kingsport Metropolitan Transportation Planning Organization (MTPO) is in the process of developing a new Transportation Improvement Program (TIP) for fiscal years 2020-2023. The TIP is a four-year financially constrained priority list of projects within the MTPO planning area funded with federal, state, and local dollars. This is the opportunity to submit potential projects to be funded with Federal Surface Transportation Block Grant (STBG) funds. Most projects require a 20 percent local match and shall be sponsored by a governmental entity that can demonstrate a financial commitment to the project. Completed applications must be received by the MTPO no later than April 5, 2019. To be eligible for funding, projects must be included in the 2040 Long Range Transportation Plan. Chapter 7 of the plan includes project recommendations and can be found on the MTPO’s website by following this link: https://www.kingsporttn.gov/city-services/kmtpo/plans-and-documents/long-range-plan/. NOTE: This lane closure has been rescheduled due to the weather. The Kingsport Streets and Sanitation Department will be cutting out brush along Netherland Inn Road this weekend, limiting passage to a single lane. Crews plan to cut brush from Lilac Street to St. Charles Place, an area that spans roughly from Netherland Inn to the bridge over the North Folk Holston River. This work will take place Sunday, February 24 and Sunday, March 3 between 7 a.m. and 3 p.m. on both days. During this time, traffic will be limited to single-lane passage. Due to the reduced traffic flow and potential for delays caused by this partial road closure, the city recommends that drivers attempt to take alternate routes if possible. Netherland Inn Road will reopen upon the work’s completion on both days.